T-Mobile is all in for LGBT Pride. Over the coming months, America’s Un-CarrierTM is celebrating historic progress in marriage equality and equal rights for the lesbian, gay, bi-sexual, and transgender community by supporting and participating in LGBT Pride events in 21 states across the country. 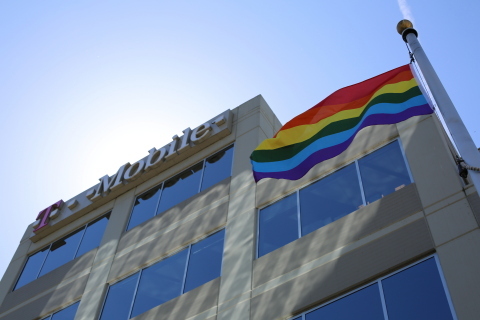 Throughout the year, T-Mobile – together with the D&I Pride & Allies Network – will take part in 22 LGBT Pride events in 21 states, including: Alabama, California, Colorado, Florida, Georgia, Idaho, Illinois, Indiana, Kansas, Maine, Missouri, New Jersey, New Mexico, New York, Ohio, Oregon, South Carolina, Tennessee, Texas, Virginia, and Washington.